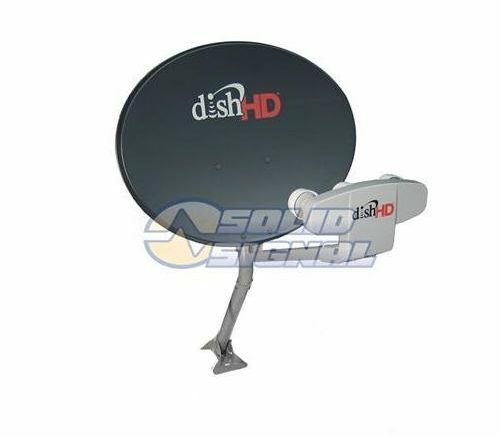 NICE AND EASY: Can you put a DIRECTV LNB on a DISH reflector? Sadly, no. Even though they look very much the same, DIRECTV’s dishes are completely different from DISH’s. If you look closely you’ll realize that they’re not even really the same shape. The news gets worse from there. You can’t even put a DIRECTV dish on DISH’s mast, they’re different thicknesses. At least you can reuse the cable, at least most of the time, but it’s still a good idea to use new cable if you’re doing a new installation. This is at the heart of all those “DISH and DIRECTV are merging” stories that come up now and again. The companies may someday merge, but their equipment, both in the home and in their broadcast centers, is so different that it would take a decade and millions (maybe billions) of dollars spent before you ever see any real benefit to the customer, and while you’re doing that, the competition isn’t standing still. It’s frustrating if you’re the sort of person who goes back and forth between the satellite services and maybe even gets into the cable TV world too. There are a lot of people who do that, bouncing from one “triple-play” offer to another and the result is a lot of wiring and hardware left on the home. It used to be that DISH would come and take the LNB (the front part of the dish) but leave the rest. Now they don’t even bother with that, so you could end up with several generations of dishes on your home after a decade or so. That’s no fun, but the sad but true part of all of this is… it’s not really something you can avoid.